Out of Africa By Isak Dinesen From the moment Karen Blixen arrived in Kenya in 1914 to manage a coffee plantation, her heart belonged to Africa. Drawn to the intense colours and ravishing landscapes, Karen Blixen spent her happiest years on the farm and her experiences and friendships with the people around her are vividly recalled in these memoirs. She describes her strong friendships with the people of the area, her affection for the landscape and animals, and great love for the adventurer Denys Finch-Hatton. 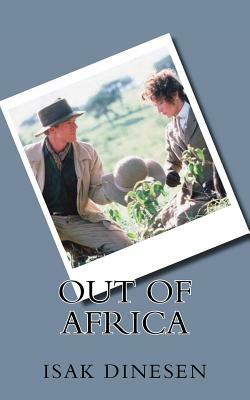 Written with astonishing clarity and an unsentimental intelligence, Out of Africa is the story of a remarkable and unconventional woman and of a way of life that has vanished for ever.